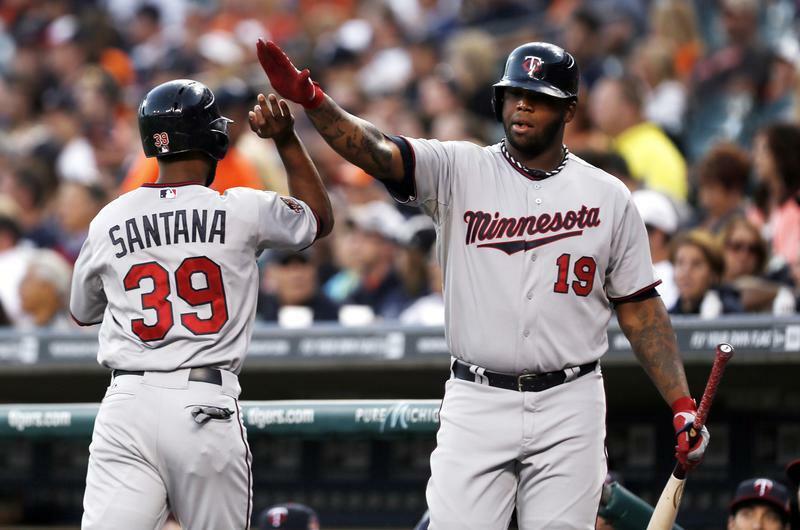 Kennys Vargas was the Opening Day designated hitter on the strength of his 54-game rookie showing, but when he struggled the Twins demoted him to the minors. Twice, actually. First they dropped him to Triple-A and then to Double-A. He fared well at both levels, hitting .283/.414/.496 with 13 homers in 73 total games. That's actually better production than Vargas had at Double-A in 2014 when the Twins called him up the first time, but things have changed. Miguel Sano is now the starting designated hitter and even if Sano shifts to third base in the future to open up the DH spot it's not clear the Twins view Vargas as the best candidate for the job. In the minors he's combined big-time power with good plate discipline, but Vargas swung at everything in the majors while compiling an ugly 111/19 K/BB ratio in 100 games. By comparison he drew 26 walks in just 38 games at Triple-A. Vargas can hit, but so can lots of DHs. 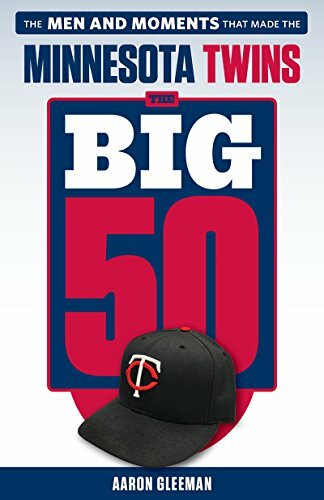 Danny Santana burst onto the scene with one of the best rookie seasons in Twins history, hitting .319/.353/.472 in 101 games while being thrust into center field as a career-long shortstop. Both his mediocre minor-league track record and underlying MLB numbers suggested it was largely a fluke performance, but Santana's regression was even steeper than expected. 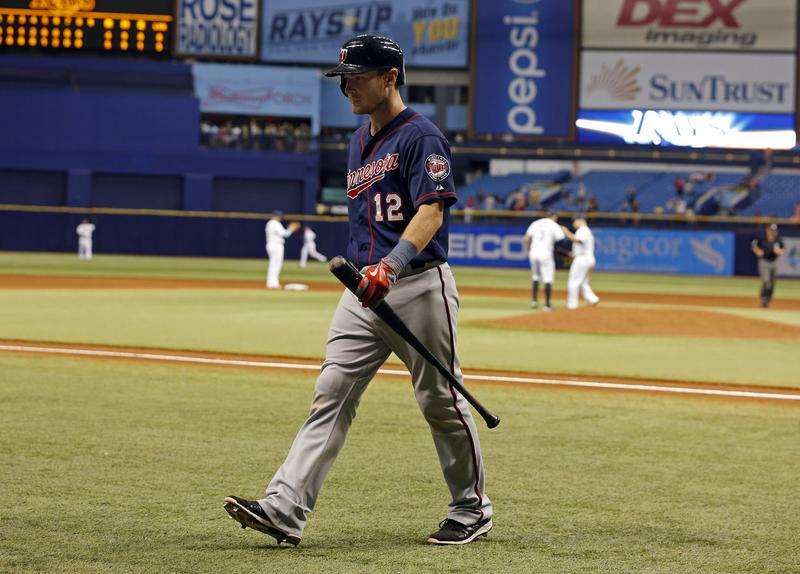 He was a disaster offensively and defensively, and the Twins finally demoted him to the minors for good on July 31. Santana played well at Triple-A, hitting .322/.348/.500, but a 25/7 K/BB ratio in 35 games shows that he made little progress in controlling the strike zone after posting a ghastly 66/5 K/BB ratio in 74 games for the Twins. He has the potential to be a solid player and is still just 24 years old, but right now Santana lacks the plate discipline and defensive consistency to be a productive starting shortstop in the majors. Michael Tonkin has spent most of the past three seasons in Rochester, consistently dominating Triple-A hitters with a 2.65 ERA and 128/25 K/BB ratio in 119 innings. During that time he's been called up by the Twins for a bunch of short stints--on several occasions 48 hours or less--and has held his own with a 4.07 ERA and 36/14 K/BB ratio in 42 innings while averaging 94 miles per hour with his fastball. Tonkin is 25 years old with a strong minor-league track record, including three straight years of outstanding Triple-A performances. He stands 6-foot-7 and throws in the mid-90s with a sharp slider. He misses bats and throws strikes. Everything about Tonkin suggests he'd be a solid MLB reliever with late-inning upside, yet for whatever reason the Twins have refused to give him the same extended chance they've given plenty of shaky veterans during the past three seasons. A.J. Achter made his MLB debut as a September call-up last year and spent another two weeks with the Twins last month. He has a nice-looking 2.57 ERA in parts of three seasons at Triple-A, but it comes attached to a mediocre strikeout rate, sub par control, and a fastball that tops out in the low-90s. At age 26 he lacks upside, but if given an extended opportunity Achter is capable of finding some success as a middle reliever. Eric Fryer spent six weeks as the Twins' backup catcher in July and August before they sent him back to Rochester in favor of Chris Herrmann. He returns now as a third catcher and had to be re-added to the 40-man roster to do so. Fryer has a good defensive reputation, but he's hit just .235/.316/.324 in 57 games as a big leaguer and .237/.328/.328 in 271 games at Triple-A. The bar for "decent backup catcher" is very low, but Fryer struggles to clear it. 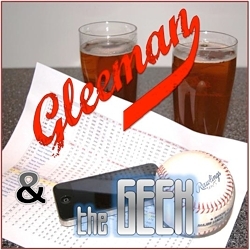 Want a lot more about what September holds for the Twins and why they haven't called up Berrios, check out this week's "Gleeman and The Geek" episode. A.J. Achter was a 46th-round draft pick out of Michigan State in 2010 and posted a 4.52 ERA in 2011 as a starter at low Single-A, but he shifted to the bullpen in 2012 and has a combined 2.10 ERA in 213 innings as a reliever since then. That includes a 2.17 ERA and 80/25 K/BB ratio in 79 innings last season, mostly at Triple-A, which was enough to get him added to the 40-man roster as a September call-up. However, his shiny ERAs come with good but not exceptional strikeout rates and Achter's control is mediocre. He's done an amazing job limiting hits, including a .173 opponents' batting average last season, but that was driven by an unsustainably great .228 batting average on balls in play. Toss in underwhelming velocity and his odds of sticking in the big leagues don't seem particularly good, but at age 26 he warrants a "why not?" look. Achter got into seven games for the Twins as a reliever and posted another nice-looking 3.27 ERA, but he managed just five strikeouts in 11 innings, opponents hit .304/.347/.522 off him, and his average fastball clocked in at 90.2 miles per hour. Middle relief is Achter's upside and the Twins' bullpen depth chart is pretty crowded, but the fact that they kept him on the 40-man roster all offseason suggests they're interested in giving him another shot at some point. A solid 2013 season between Double-A and Triple-A got Logan Darnell added to the 40-man roster, but the 2010 sixth-round pick spent most of last year back at Triple-A and managed just 90 strikeouts in 115 innings while walking 3.8 batters per nine frames. That poor strikeout rate matches his high-80s fastball velocity and Darnell has an underwhelming 3.81 ERA and 133/71 K/BB ratio in 172 career innings at Triple-A. He also got knocked around in his first taste of the majors, allowing 20 runs in 24 innings for the Twins at age 25. Given his sub par velocity, mediocre control, and inability to hold right-handed hitters in check it's hard to imagine Darnell having sustained success as a starter in the majors, but the left-hander could find a home in the bullpen as a southpaw specialist. Of course, that role is such that the same can be said for nearly every decent lefty in the minors. In the minors during the past two seasons Darnell held lefties to a combined .228 batting average and 74/18 K/BB ratio, whereas righties batted .285 off him over that same span. Regardless of the role Darnell is behind a lot of names on the Twins' pitching depth chart heading into 2015 and seems like a candidate to be removed from the 40-man roster if space is needed early, but if given a chance he could carve out a useful niche in middle relief. Levi Michael was billed as being close to MLB-ready when the Twins drafted the North Carolina shortstop in the first round in 2011 and the pick made sense for a team that had long struggled to develop capable middle infielders. They showed their faith in his readiness by sending him directly to high Single-A, but three years later Michael was still stuck there. Nagging injuries repeatedly derailed Michael's development and the solid power he showed in college disappeared. Last season, in his third go-around at Fort Myers, he finally showed some promise by hitting .305 in 45 games to earn a promotion to Double-A, where he hit .340 in 15 games. Those lofty batting averages are misleading because he managed just one home run, but Michael controlled the strike zone well. Even within the overall struggles Michael always made plenty of contact and drew some walks, suggesting the switch-hitter could have value even if the power is gone for good. Unfortunately he's no longer a shortstop. Dating back to college there were questions about his ability to stick at shortstop long term and last season Michael played almost exclusively second base at both levels. Not only does that raise the bar for his offensive production, it makes it much harder for Michael to potentially stick in the majors as a utility infielder. At age 24 and with just 15 career games above Single-A it's time for Michael to sink or swim. Acquired from the Mariners on July 24 as the Twins' return in the Kendrys Morales salary dump, Stephen Pryor was one of the few players on the 40-man roster not to get a September call-up to Minnesota. However, he remained on the 40-man roster all offseason and presumably the front office has enough patience in the 25-year-old right-hander to see if he can get healthy and regain his old velocity after missing most of 2013 and part of 2014 following shoulder surgery. Before the injury Pryor looked destined for a late-inning bullpen role in Seattle. As a 22-year-old in 2012 he blitzed through the minors, going from Single-A to Double-A to Triple-A before debuting with the Mariners in June. Overall that season Pryor posted a 0.93 ERA and 47 strikeouts in 39 innings as a minor leaguer and then racked up 27 strikeouts in 23 innings for the Mariners while averaging 96.3 miles per hour with his fastball. His arm gave out in 2013 and while Pryor returned last season to log 55 innings in the minors and make two appearances for the Mariners he was a shell of his former self, throwing in the low-90s with less than one strikeout per inning. Pryor has always struggled to consistently throw strikes and control problems that can be overlooked when attached to a high-90s fastball may be tough to overcome if that velocity is gone for good. Lester Oliveros was acquired from the Tigers in the 2011 trade for Delmon Young and missed most of 2013 recovering from Tommy John elbow surgery. He returned last year and was better than ever between Double-A and Triple-A with a 1.64 ERA and 88 strikeouts in 66 innings while holding opponents to a .187 opponents' batting average with zero home runs. And then naturally Oliveros served up a homer to the first batter he faced as a September call-up. Oliveras has always had a big fastball, averaging 94 miles per hour as a big leaguer before and after elbow surgery. He's also always had iffy control, with nearly four walks per nine innings in the minors. He made some minor strides with his control last season when a lot of pitchers see their walk rate rise after surgery, but there's still plenty of work to be done in terms of harnessing his raw stuff. As a 27-year-old reliever Oliveros is stretching the definition of "prospect" and expectations should certainly be modest, but when someone with a mid-90s fastball averages more than 11 strikeouts per nine innings at Double-A and Triple-A he's generally worth an extended look. Unfortunately for Oliveros, because the Twins decided against overhauling their bullpen this offseason he faces an uphill battle for an Opening Day roster spot. For a lengthy discussion about projecting the Opening Day roster, check out this week's "Gleeman and The Geek" episode. Hicks has been bad enough in 129 games for the Twins--hitting .194 with poor defense--that his status as a top-100 prospect as recently as last season is easy to forget, but there's still a decent chance he becomes a useful regular. Whether that comes in Minnesota or elsewhere is unclear, because Byron Buxton's presence means the window for someone else to play center field is a small one and Hicks hitting enough to be an asset as a corner outfielder is a stretch. Hicks' primary strength as a hitter has always been plate discipline, but he's been more passive than patient in the majors and even in the minors as a prospect he struck out a lot and posted mediocre batting averages. Demoted to Double-A in mid-June and once again a switch-hitter, he batted .297/.404/.466 with more walks (28) than strikeouts (27) in 43 games and then batted .278/.349/.389 in 24 games at Triple-A following an August promotion. Overall between the two levels Hicks hit .291/.387/.441, which is plenty solid for a 24-year-old and nearly identical to his .286/.384/.460 line at Double-A in 2012 that wrongly convinced the Twins he was ready for the big leagues. Obviously his stock has plummeted since then, but they'd be smart to give Hicks another extended opportunity down the stretch. His skill set is such that he can provide reasonable value hitting .240 and as awful as he's looked that's still doable. By signing Kurt Suzuki to a two-year, $12 million contract extension the Twins made it clear they don't think Pinto's defense is good enough to be a starting catcher. He can still provide plenty of value as a part-time catcher and part-time designated hitter, but his upside in that role would be considerably lower and the emergence of Kennys Vargas means Pinto's future at DH could be cloudy as well. 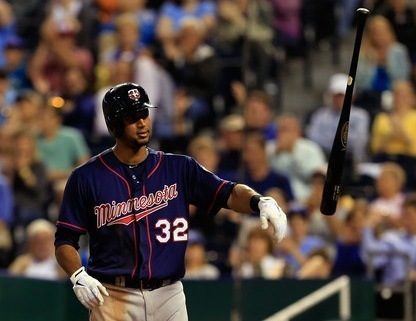 Pinto's month-long slump led to the Twins casting him aside for Kendrys Morales in mid-June, which was questionable at the time based on their respective track records and proved to be a horrendous move when Morales hit like a backup shortstop for six weeks. Pinto has been in the minors since then, hitting .279/.376/.457 in 60 games at Triple-A after hitting .309/.400/.482 between Double-A and Triple-A last season. It might take Vargas slumping for Pinto to get another extended opportunity, but a 25-year-old with a .265/.349/.464 line through 64 games in the majors to go along with a strong track record in the minors deserves a much longer leash than he's received so far. Pinto has plenty of power potential, he can draw walks, and his OPS in the majors (.813) is nearly the same as Vargas' (.830) right now. He just needs a chance to show the slump was merely a slump. After pitching well in an 11-inning Twins debut last season Tonkin seemed likely to have a sizable role at some point this season, but instead the bullpen in Minnesota was rarely a big problem and he spent most of the year in Rochester. Combined between this year and last year Tonkin has a 3.48 ERA and 82 strikeouts in 78 innings at Triple-A, and unlike most hard-throwers his control has actually been good with only 16 non-intentional walks. Tonkin struggled in a month-long stint with the Twins this season, but the 6-foot-7 right-hander has averaged 94 miles per hour with his fastball in the majors and has the minor-league track record to match. He throws strikes and misses bats with quality raw stuff and should emerge as a late-inning bullpen option in 2015. Counting the minors and majors Tonkin has 228 strikeouts in 195 innings since moving to the bullpen full time in 2012. Oliveras has always had a big fastball, averaging 94 miles per hour as a big leaguer in limited pre-surgery action. He's also always had iffy control, with nearly four walks per nine innings in the minors. His rebuilt elbow can still reach the mid-90s consistently and Oliveros made some minor strides with his control when a lot of pitchers see their walk rate rise after surgery. At age 26 he looks like an intriguing 2015 bullpen option. Achter was a 46th-round draft pick out of Michigan State in 2010 and posted a 4.52 ERA in 2011 as a starter at low Single-A, but he shifted to the bullpen in 2012 and has a combined 2.10 ERA in 213 innings as a reliever since then. That includes a 2.17 ERA and 80-to-25 strikeout-to-walk ratio in 79 innings between Double-A and Triple-A this season, which was enough to get him added to the 40-man roster for September. However, his shiny ERAs come with good but not exceptional strikeout rates and Achter's control is mediocre. He's done an amazing job limiting hits, including a .173 opponents' batting average this season, but that was driven by an unsustainably great .228 batting average on balls in play. Toss in underwhelming velocity and his odds of sticking in the majors don't seem particularly good, but at age 26 he warrants a "why not?" look. Not technically a September call-up, Thompson was added to the roster on August 31 when the Twins lost Sam Deduno on waivers to the Astros. Ron Gardenhire talked up Thompson's work against left-handed hitters in Rochester and sure enough he held them to a .186 batting average, but a 13/7 K/BB ratio hardly displayed dominance and last season, also in Rochester, he allowed lefties to hit .267 compared to .265 by righties. In other words, it looks like a fluke. Thompson is a 27-year-old journeyman with a 4.33 ERA in a decade as a minor leaguer, including a 3.52 ERA and thoroughly mediocre 107-to-51 strikeout-to-walk ratio in 120 innings at Triple-A. He's a former first-round draft pick, but that no longer matters much considering it was the same year (2005) the Twins selected Matt Garza three picks later. Deduno is certainly no big loss, but he has higher odds than Thompson of being a valuable reliever for the Twins. Darnell fared well at Double-A to begin last season, but has a 3.82 ERA in 172 innings at Triple-A along with a poor strikeout rate and mediocre control. 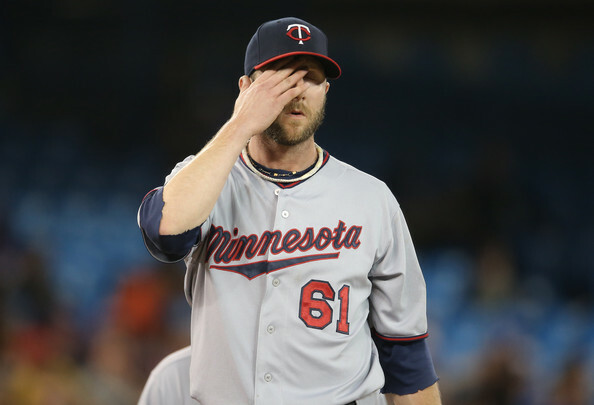 He got knocked around in a brief stint with the Twins earlier this season while averaging just 90.3 miles per hour with his fastball and looks unlikely to be stick as a starting pitcher thanks to an inability to hold right-handed bats in check. Like most competent lefty starters he could have a future in the bullpen as a southpaw specialist. In theory Herrmann brings versatility to the bench, but he's really a catcher in name only and doesn't hit enough for a corner outfielder. In fact, among all Twins hitters with at least 200 plate appearances in the Gardenhire era of 2002-2014 he has the third-worst OPS ahead of only Drew Butera and Tsuyoshi Nishioka. He actually hit well in 60 games at Triple-A this season, but he's 26 years old with a sub-.400 slugging percentage between Double-A and Triple-A. Bernier spent the second half of last season with the Twins in a utility infielder role, logging just 64 plate appearances in two-plus months. He was dropped from the 40-man roster, re-signed on a minor-league contract, and has now been added back to the 40-man roster for a September stint. Presumably the 34-year-old journeyman will be dropped again after the season, but Bernier can play all over the diamond defensively and had a solid season at Triple-A hitting .280/.348/.396. For a lot more about the Twins' plans for September and what their offseason shopping list may look like, check out this week's "Gleeman and The Geek" episode.